"Working with Ruth I found myself reflecting on questions that allowed me to realize my potential and power. As a result, I am more proactive in decision making and willing to take more risk. Her process and intuitive style supported me in improving our bottom line and assuming more responsibility in our organization through two senior level promotions." 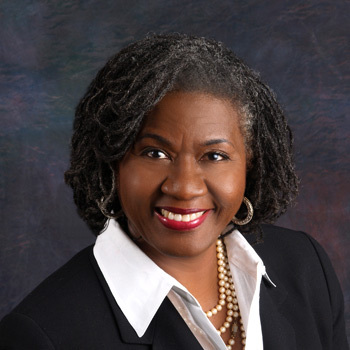 Ruth Littlejohn has over 20 years experience as an executive and diversity coach, organizational consultant, trainer and facilitator. She coaches senior leaders in Fortune 500 corporations to embrace new possibilities - for themselves and their businesses. Ruth supports leadership in reaching beyond their normal limits and concepts to exceed their goals professionally and personally. As a past Fortune 500 executive managing projects, people and P&L, Ruth knows intimately the challenges top leaders face today. Her engaging style supports clients in taking risk, listening deeply, and hearing and acting on feedback. The results are powerful insights and personal transformation that translate into swift action and break through business results. Ruth has coached executives from a wide range of industries providing the support needed to develop their strategy, articulate their vision, build stronger coalitions, create a compelling executive persona and skillfully navigate mergers and acquisitions. She has extensive experience in onboarding coaching to bring new executives up to speed quickly, acclimate to the new culture and hit the ground running. She also specializes in diversity coaching and coaching teams on workplace inclusion. Ruth values the relationship between "insight" and ROI, assisting clients in cutting through the noise of day-to-day responsibilities to assess where they are and envision where they want to be. Her coaching supports clients in deepening their awareness, knowledge and skills to meet and exceed their goals. A Senior Vice President of eCommerce for a large financial institution to refine strategic planning, deepen relationships and heighten influence skills, resulting in two promotions - Executive Vice President and Senior Vice President. A CEO of a web firm to realign company strategy, identify new streams of income and improve work/life balance. Two CEO's of merging pharmaceutical entities to create a new culture and shorten the merger transition process. A newly promoted Director of an ICU to develop and clearly articulate their vision to their team and executive leadership. Coaching supported this new leader in balancing the importance of relationships with their team and the importance of driving a high-performing team. Principal - Working Life & Teams, Inc.